New & Notable: Candace S. Johnson, PhD is named the 15th President and CEO of Roswell Park. Her appointment marks the first time a woman is chosen to serve in the role. 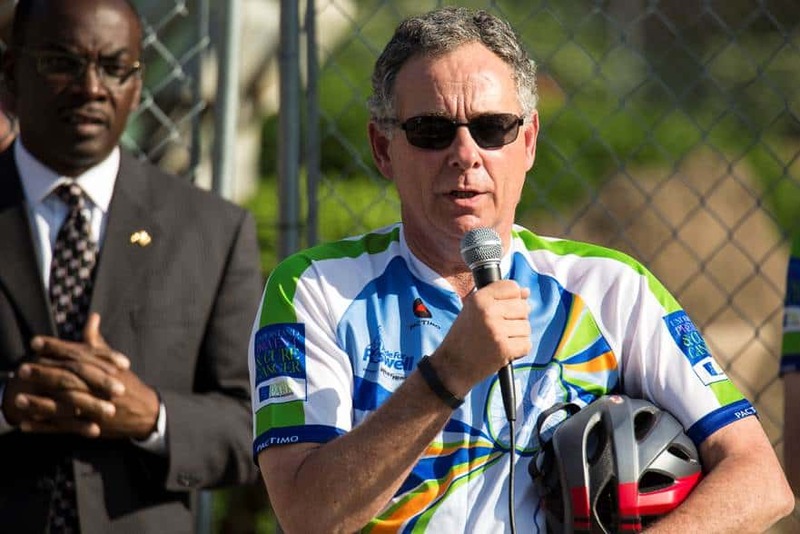 Mayor Byron Brown and then-Roswell Park CEO Donald “Skip” Trump addressed the Peloton in 2014.